“NewsTrust.net helps people find good journalism online. Our non-profit, non-partisan project provides quality news feeds, news literacy tools and a trust network to help citizens make informed decisions about democracy. A sort of Michelin guide for news media. 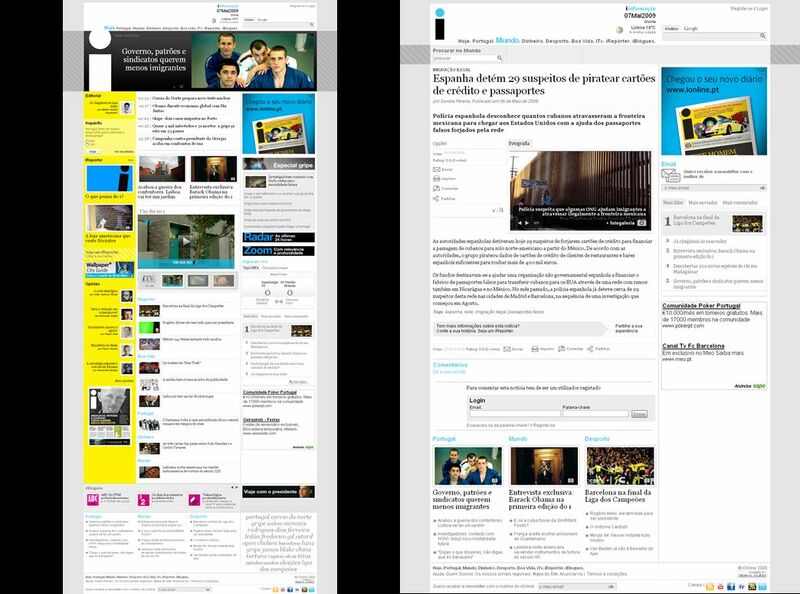 Users get the chance to review their news sources, and compare their quality. They input their analysis through a very complete form: it includes rating parameters like trust, fairness, sources and context; there’s also a space to cross reference the news stories with other sources, and users can even leave their suggestions to improve articles, as long they support their ideas with facts. One of their goals is to fight civic apathy, and making people question what they are being fed to is a good way to do that. The moral principles of NewsTrust are high, and they present themselves as a part of the solution for resolving media/users trust issues. People in charge of NewsTrust are experienced, reputable professionals, which gives extra credibility to the project. Not much, but it’s very USA oriented, and that may not be even a downside. It’s still a beta version, though bugs were not found. It all seems transparent and rather simple, really. NewsTrust is a solid project that works both ways: users challenge the quality of journalism being made, and news companies and journalists have a reference to improve and become more trustworthy. It asks both for better readers and better news. ”Sweeble.com was born out of the bottom of a bottle of wine at the dog end of a bad day in the newsroom. It was the end result of hundreds of people’s stories rejected because they didn’t quite fit editorial standards – because they were too small, too personal, too one-sided or a story we’d already done and didn’t fancy doing again. The news we tell each other as individuals, the stories we want to share, are rarely the ones we see in our newspapers, or on our TVs or hear on our radios. It shouldn’t be like that on the web too. The web needs an open space for news where anyone can tell everyone what’s going on around them, in their own bit of the world. Sweeble is a UK based website, in which all content is generated by users. The main idea is to allow people to present their news stories in an editor free environment, without restraints on subject or approach. In fact, the goal is to provide a space for personal approaches to off-mainstream stories. It’s more of a personal/individual project rather than a corporate effort. Hard-core Citizen Journalism. You can post a text, with or without pics, and/or video. The page structure is quite simple and they tell you all you need to know in their tips and FAQ’s, from how to post to a quick guide about how to write your story, which you don’t see often. This shows that who’s running the place knows the job and aspires to have quality content. You can personalize your account, so you can have your preferred subjects on your Sweeble’s homepage, and the idea of an ad section is good to create a community, but that part doesn’t seem to have much activity yet. But what caught my eye was the stark simplicity of the website. Video is a strong argument for Sweeble, but there are some limitations: you can upload it to Sweeble, but not place it from YouTube, for example. Since you have to upload it, your video must be up to 50mb, which may not suffice to hold a longer interview or a home edited report (not really a problem now, but as users get more evolved in their storytelling this may happen). One annoying thing is that you can’t send the stories to a friend by email, nor embed the videos someplace else, though I managed to get them with VodPod. This happens due to the simple programming of the website, which handles well most features, but needs to be reviewed to allow Sweeble to grow (it’s still beta, I know). Another feature that could come up in the future is (audio)slideshows, but this is just a suggestion. The user homepage options also suffer from the simple programming: few choices and radio buttons won’t do in the future. One thing that annoyed me is the amount of times they emphasize legal implications over content, and how systematically they shake off any sort of responsibility. I know they must protect the website from any sort of legal liability, but it sounds too defensive. One short, clear disclamer would do. Google AdSense is there, along with smaller ads, and more publicity may come if they target the right companies: audio and video gear retailers or companies, mobile phone manufacturers, all that work with the semi-pro fringe. The citizen journalist is an expanding market niche. For sure. Sweeble is a good model for citizen journalism, that needs more promoting and live outside their own website – this means that they must, for instance, find some sort of synergy with other independent news projects, and reach the public. And, why not, promote basic journalism courses among their users. The aim is free, personal, quality stories, and I believe that they can go further than their original inebriated born of frustration idea, and build a true citizen news website. It all depends on what sort of effort they are willing to apply to truly make a difference. A place for video footage that may be considered as newsworthy. Most cases, it’s just a collection of extreme situations that were caught on tape by common citizens. Not much, they just follow an equation to which all videos must agree: videos and citizens plus event equals news. Not really, though. But the main idea is great, turning common citizens into ENGs (Electronic News Gatherers, aka video reporters). The design could be a whole lot better and that camera on the logo is totally wrong, it should be a cell phone. There is no context for most of the videos. This isn’t journalism, it’s voyeurism. The videos can´t be easily embedded, so the website’s purpose stays within it’s bounds, and dies there. And so does the intention of reporting anything, because the drama is there, but not the plot, so they fail completely. Besides, citizen videos that are used in breaking news reports go all to the big media outlets, not here. Is it? Ok, they have some ads, and it doesn’t look like they’re spending a lot of money, but survival is going to be hard in my opinion, unless they change something. Or maybe they’re just hoping to be absorbed by a major news corp. Yes, if you want to see some dramatic footage and be happy with just that. Journalism Enterprise é um novo blog dedicado à crítica de sites ligados ao jornalismo online, com a participação de bloggers e jornalistas de diferentes cantos do mundo, sob a orientação de Paul Bradshaw. Eu também participo, e a minha primeira contribuição é com uma avaliação ao fora.tv. Para já, ainda está numa fase beta, mas deixem as vossas ideias e sugestões. Journalism Enterprise is a new blog dedicated to the reviewing of websites connected to the online journalism, that counts with the participation of bloggers and journalists from the four corners of the world, under the guidance of Paul Bradshaw. I’m part of it too, and my first review is to fora.tv. For now is still a beta version, but leave your comments and suggestions.